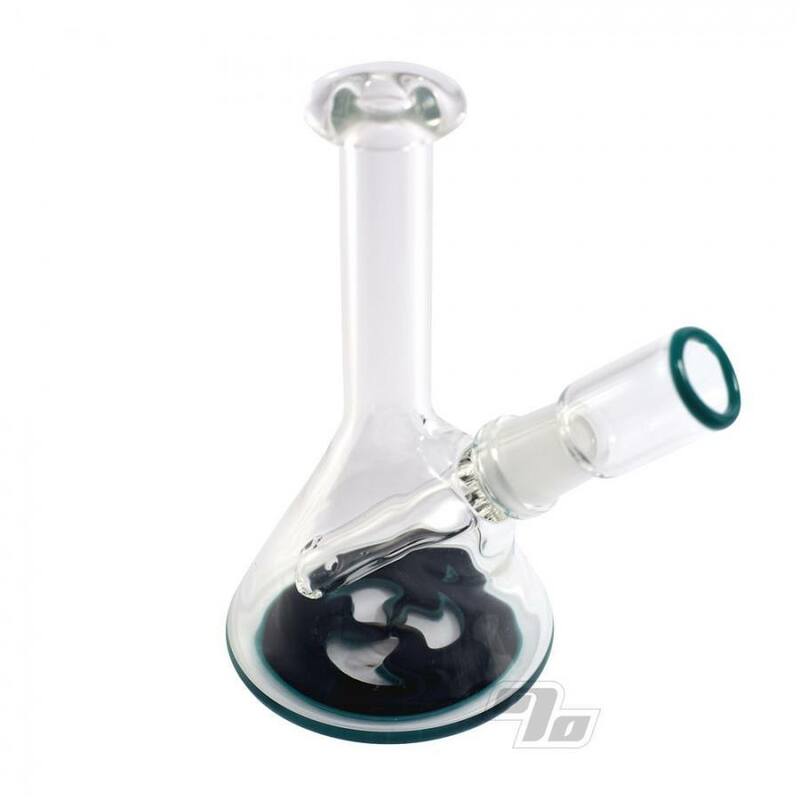 Black Montage Mini Dab Rig from Germ. 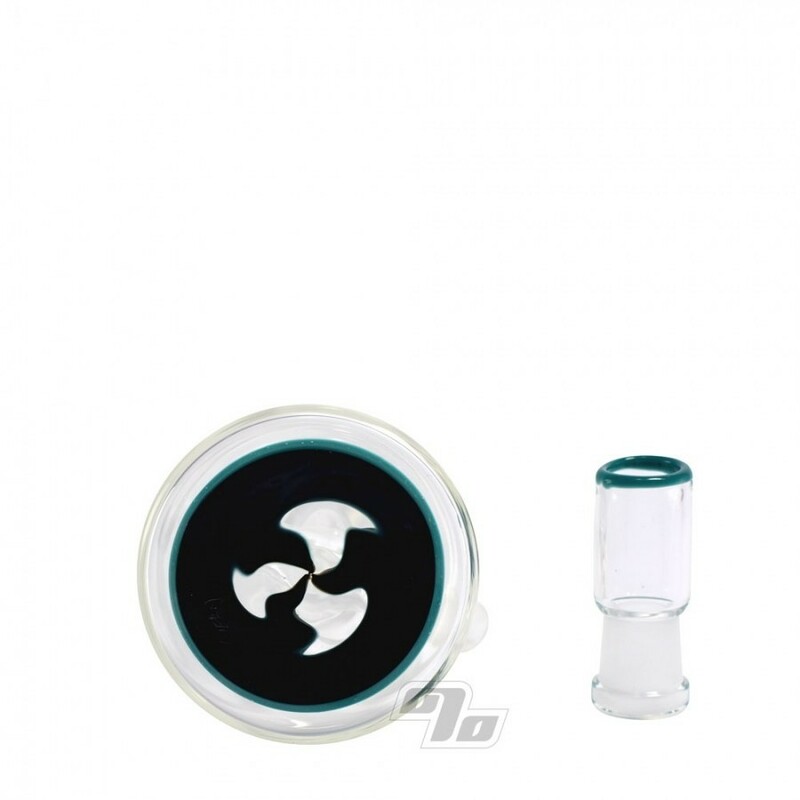 This glass oil rig has a 14mm fixed stem with ground glass joint and turquoise accented glass dome. 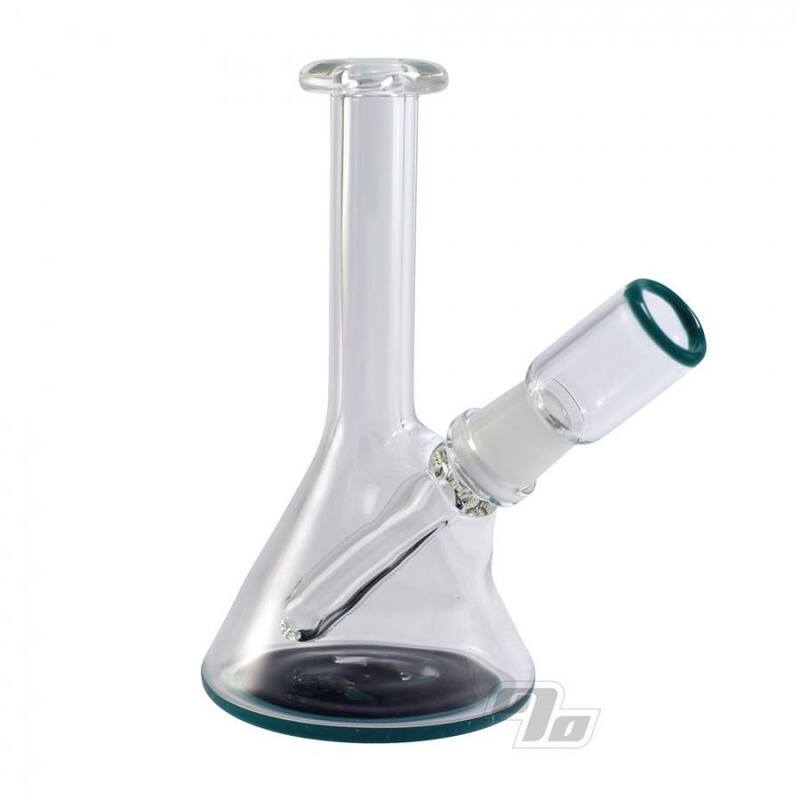 This Germ Montage Mini Rig measures up at approx 5.5 inches tall and 3 inches diameter at base.